Learn how to find people online right here and right now. Who doesn’t want to look up information for those obscure actors? Maybe you want to make an effort to track down your “lost” relatives of old. Or maybe you just want to look someone up on the web for fun. The first option for most people to do any of the above-mentioned is to use Google. People Google other people’s names in order to find out more about their whereabouts and what not. If you want to know what you can do to find out more about the person you want to know more stuff about then you have come to the right guide. In this guide, we will show how to make a serious effort to search for other people online. We will also include some of the best advice from to professionals. Professionals who find out more about people online for a living. Conversely, if you are someone who doesn’t want other people to find him/her out, then you will need this guide too. Because this guide will show you how the pros track you down. And hence you would know the methods with which professionals track down people. Then you can guard against those methods in order to stay hidden in the online world. Before we can get to the juicy stuff we would like to start off with a note. There are tons of people out there in the real world that just don’t want people to find out anything about them. And as decent human beings, we should respect their decision. You should not use this guide to stalk people who have moved on and are not a part of your life. IN other words, you shouldn’t really go about using this guide to find more information about your ex-wife or any other relative who has told you before that they do not want to meet with you ever again. With that said let’s move on to the actual guide. So what should you do after you have made the initial Google search in order to find your old step-aunt that you have had no contact with for, say, ten years? Believe it or not, there are tons of places where you can go to find more information about anyone you want to find more information about. Generally, people do have an online trail. You can use that online trial to identify several pieces of the puzzle that will lead you to find more information about any particular person. But there are those rare cases where people do make an extensive and diligent effort in order to hide their information. This is what Michael Bazzell, a security expert, told Gizmodo reporters. Michael said that anyone who wants to find anything about anyone else should first stop at sites like Twitter and Facebook. According to Michael, these two sites are the global resources of information on people and can disclose a lot of personal details about anyone. As mentioned before, if you want to find anything about anyone then you should always start with Google. Searching Google is probably the best step when it comes to finding people online. But even when you want to search social media networks, you should start with Google. Put you have to show some cleverness about it. Say you want to search for a person by the name of John Doe on Facebook. To do that, you don’t go to Facebook and search there. What you do instead is put this in Google search “John Doe site:facebook.com”. Most of the times, this trick will give you better results than the internal search engine at Facebook. And if you can muster up enough of your memory to add a location to your search string, then that can help immensely as well. That is true in more cases than one. Let’s say you went to Google and search like hell using normal methods. But they didn’t reveal too much to you. In that case, what you can do is search the Google Images tab that appears at the top of Google Search page. The Images tab can give you more information as well. Moreover, if you are lucky, you might hit the nail right on the head with Google Images tab. Of course, we will have to assume here that you actually know the person (and what the person looks like in real life) that you want to search for and are trying to find out more information about. How To Find People Online Tip 2: Okay. So Search Google. Is There More To This Guide? There you can dig around to find out more information on how to find people. In each of the above-mentioned cases, you can make slight tweaks to your search strings in order to force these sites to spew out more information. Let’s say you want to search using the Facebook search engine. See that Facebook results page? These are ever-present on the left-hand side of your screen. And they can help you a lot if you want to narrow down your results by filtering them with time and place. These techniques will work even if your special “person” hasn’t bothered to post something recently on his or her profile. Moreover, you may hit the jackpot and find out some of the old stuff that your “search person” has posted in the past on Facebook. Twitter works in a similar way to Facebook. Allow us to explain that a little bit. Just like Facebook, Twitter too has that “people filter” function. It is available right there on the official website along with the search function. Twitter also has an advanced search web page. In other words, you can just sleuth your way by dropping a single name on to Twitter search. Chances are that you will find what you’re looking for. Of course, there is also a chance that you won’t. This is the risk that you take with normal search methods. But you can do the same thing you did with Facebook search. That is, use filters such as location and/or date. Moreover, Twitter also allows users to search for their tweets that are specifically related to a single particular Twitter account. This function is very useful if you want to find out someone who loves @KingJames. You might try out different names with different filters for ours and still get nothing. There are loads of other options. You can use phone numbers along with email addresses. Michael Bazzell, that security expert from before, said that one of the most valuable and effective tools for his own investigations are converting smartphone numbers along with email addresses to popular social network profiles. Bazzell also said that a lot of people would typically use several modifications for their real names so that they could hide to some extent. With that said people can still find them by using their real phone number or email address because people usually use their real ones in their profiles. How To Find People Online Tip 4: More Twitter And Facebook Options. We all know, rather well, that you can block anyone and everyone on Facebook and Twitter. You can also prevent everybody from ever finding you by using your phone number and/or registered email address. It is another fact that most of the people on the internet simply do not bother to change these information pieces. So, you can use that to your advantage. To find someone who has proven himself/herself very hard to find, use their cell phone number. In other words, search for their cell phone number via the Facebook search box. After that, you need to observe the list and recognize if the person you are searching for has shown up. Facebook has a lot of custom tools. If you go to Bazzell’s official Intel Techniques website, you can find a ton of tools (all of which are free) that you can make use of in order to dig up more information. And every other well-known social networking website. If you know that the person you are searching for has worked at a specific company or another working place then use that information to search more specifically. If you know that someone has attended a specific school in the past, then use that to your advantage. Moreover, you can always try to link Twitter accounts with Facebook accounts to search more thoroughly. To do that, just search for Twitter accounts that have multiple people, in other words, friends in common. You have to take advantage of these techniques because all of this information is publicly available in the form of easily understandable records. As mentioned before, you can always run those searches which are based on telephone numbers and email addresses. Moreover, you can also look up those public documents that are so easily accessible via Google Drive and of course Scribd. Domain names can also give you specific contact details if the person you are looking for has actually managed to register himself/herself publicly. It is that you don’t have to search for your special person with just a name. Use anything you can think off. With that, we come to the next technique. How To Find People Online Tip 6: Everybody Has Friends. And So Does Your Special Person. Use Friends. And Then Use Friends of Friends. There are lots of things you can search for in order to find someone online. Besides, there is always the chance that you get stuck with your normal initial searches. It is true that sometimes these searches won’t get you anywhere you would like to be. Hence you need to think. You need to think like someone who thinks outside the box. Take a look at this report to see how some reporters can work up their magic to find stuff even on the head of FBI. You don’t have to read the full report. What you need to know is that, if you are clever enough, you can use accounts belonging to friends and relatives of your special person to lead you straight to your special person. That is what you want right? So why bother with a simple name search. Even if your special person has done a great job of hiding himself/herself, this technique will work. The problem with someone trying to hide himself/herself is the network. The modern online network is huge. It consists of things such as likes, tags and of course those retweets. These form a deep set of data on anyone that uses these social platforms. You can use this to your benefit. Sites like Twitter and Instagram provide you with loads of opportunities to find more about anyone person online. Because these are the places where most of the existing content is publicly available. The Chief Investigator of North American Investigations, Darrin Giglio, recently told Gizmodo (a popular technology site) that people were connect times three (connected and connected and connected) with each other in a lot of different ways. He also told Gizmodo that everyone has at least one social media account. So people searching for other people should not find it hard to search for their target. He said that the daisy chains of online connections could easily allow someone to trace anyone with time, some technical know-how and of course patience. Let’s assume for a second that you want to find your (just an example) step-aunt. But the problem is that your step-aunt has changed her name or has remarried. So how should you go searching for her? Well, you can always use the name of your related cousins. Of course, you will have to find your cousin’s first. Once you have found them, you can use their followers, followers, and likes. You can also search for their other social media network accounts so they what they are replying to and are tagging. People have found the likes of James Comey in a matter of four hours. And that means you can find your Aunt May fairly quickly as well if you have the brains for it. 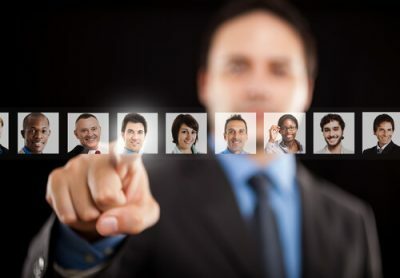 When you are trying to find someone, try to first connect with another individual that is closely (or even not closely) linked to the person you want to find more information about. Again, the host of social networking sites is a bonus here. You can force these social networking sites to instantaneously throw up a large list of recommended people or contacts. These recommended contacts or people could lead you more close to whomever you are looking for. If not that, then these can certainly help you with clues about how you can go about in tracking your special person around in the wide world of the internet. Giglio told Gizmodo that even if a person searching for someone didn’t have an official social networking account, that person could always bank on the chance that their friends and/or family did. 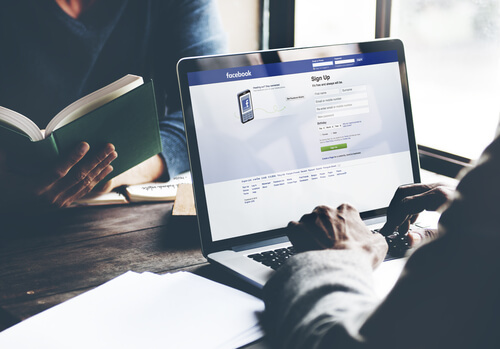 Of course, it is now possible that a person may or may not delete his/her content from all or some of his/her online social-networking profiles. These social networking sites also allow people to cancel their own accounts. Even if they delete their account, their data has already gone through the various stages of getting shared. Moreover, if another user has saved or shared your special person’s data, then that data also remains available. Moreover, these online services and/or other entities can themselves access and then save any user data that they want to. How To Find People Online Tip 8: What If Your Google Search And Search Trail Doesn’t Bear Fruit? So you have to search with Google. And now the trail has gone cold. There are always those alternative search engines. If these don’t work out for you then you can also try out different search engines. Search engines that don’t just touch the surface. These search engines go deep. These are just three examples. You can try other options as well. Well, there is always that WayBack Machine. What does this WayBack machine do? It does what its name says it does. The WayBack machine is great. Because it can show you web pages that people or organizations may have removed from the spaces of the internet itself. How To Find People Online Tip 9: What About Pipl? Does It Work? If you want to know how to find people online then you will have to move past some of the more obvious tools. A lot of security experts recommend Pipl as another possible search engine. Search engines like Pipl go beyond normal search results. YOu won’t get these results from your standard search engines. Search engines like Pipl, add valuable filters for categories such as age and location. The only thing we would mention there is that you should never take everything Pipl throws at you at face value. Pipl is prone to showing you information that may or may not be outdated, incomplete or straight out inaccurate. This is what Giglio told Gizmodo reporters. You should run multiple checks to see if the information you are seeing is indeed correct. Of course, that isn’t always possible but there is no harm in trying. How To Find People Online Tip 10: Aren’t There Simpler Solutions Like Web Browser Extensions? There are indeed web browser extensions that you can use to make it easier for you to do a bit of professional networking. These are apps designed to do such kind of work for you. The kind of work that allows you to see your special person’s contact info. Most of the times, people have hidden their contact info for privacy reasons. But you can use some neat web browser extensions to mine for more personal information too. What are these extensions that we keep referring to? All of these extensions that come in real handy if you want to hunt for a bit of more information and then convert it into a ton of information. You should install any of the above-mentioned browser add-ons. Then you should observe if these extensions make any difference to your search. 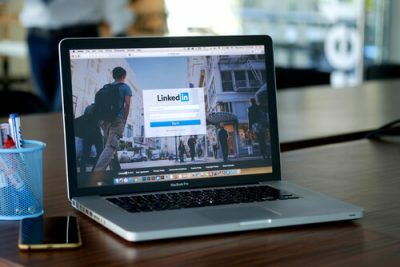 You can use these extensions to look up people of interest on sites like LinkedIn, Facebook and Twitter along with much more. So you have tried out all the methods that we have mentioned before. But have come up with nothing? Because even if you have exhausted all the social media network sites, you can still do a lot more. There is a galaxy of options to explore and make use of. Well, not literally a galaxy. We have some more options, let’s put it that way. People use a lot more sites than just Facebook, Google, Twitter and LinkedIn. To use those sites, people have to register themselves. And that means you have some data that you can leverage to find people online. Just think about all the possibilities. Most online users now use a ton of apps. Almost all apps require the user to sign up. Of course, these apps don’t put up that user data for public use on the web. Bazzell recommends that people should move beyond Google. And the ideal start is social networking sites. But as we have mentioned before, they are just the start. You have to find more pieces of the puzzle in order to get to your target. Both security experts, Giglio and Bazzell, correctly point out that users should take advantage of dating apps. Data websites are a viable option as well. If you have the necessary know-how you can use these dating websites and apps to track someone online more effectively. As mentioned before, most, if not all, of these apps don’t allow users to search their users by name. However, you can search them with parameters such as gender and location. protected user data by securing user privacy. But they did archive private information almost indefinitely. Giglio also said that even when someone removes his/her online profiles and deleted accounts, there could still be online records along with old archived information available. People who are looking for other people online could go through these archives and retrieve some useful information. People usually reuse usernames (along with their relevant variations) and profile pictures across several sites. It means that if a user can collect a useful bit of information from a source, then the user can link that information with other pieces which might lead the user to other connected places. This is where techniques such as reverse image searches come in handy. People should not find it hard or even difficult to search for a particular profile picture. Image searches can reveal if a user has used the same profile picture on other sites that are spread across the web. A lot of dating apps and their user profiles have associated social network accounts. These social accounts usually come attached with profile pictures. How To Find People Online Tip 13: What About Other Communities And Forums. Not satisfied with the options so far? Then look at communities along with online forums. The person you want to find online could belong to any one of the tons of online communities and forums. Does your special person, or person of interest, has a special interest in boating? Is that person also a member of a specific boating society? How about the dramatic arts group? You can search forums and other web pages that relate to these areas along with your person’s interests. These usually can throw some promising leads your way. Do take note that you are not bound to always search for your person of interest directly. Because that is not always possible. So you have to use their contacts. Your person of interest is bound to know other people. Moreover, you may also use people who used to know your person of interest. All of these can land you some big clues. If you know a little about the person of interest’s wider family, then that can come in handy as well. Go to Ancestry.com and then run a search on it with the person you want to find online. If you are looking to find your old school days friend then check out classmates.com. And this where those alumni community can also chip in. Your person of interest did go to an educational institution, right? Then get to work on that alumni community. According to Giglio, the ancestry sites along with real estate records, media records, prison records and court records can prove helpful. Giglio also says that the list of such records is at the very least, endless. Furthermore, Giglio told reporters that people can make use of any and all publicly available records. Especially the ones that are easily accessible via online means. All of these tools can prove themselves as useful means to locate people online. 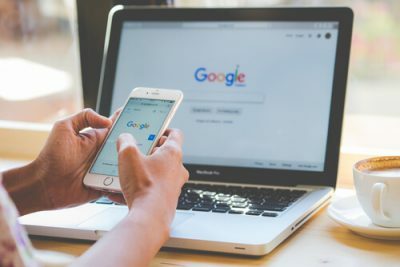 Google is your friend when it comes to how to find people online. But it is not your only friend. Even though we have mentioned a lot of methods, we still haven’t mentioned them all. There are those people finder online directories as well. But of course, these are less effective than the techniques we have shown you before. Most of the times, these methods yield hit and miss results. Moreover, these services and their ilk can sometimes ask for payment before they give you anything meaningful. But that doesn’t mean you should discard these. If you can dig deep enough, you may find some valuable nuggets of private information. Always double-check all the information that you receive from any resource that isn’t a part of publicly available records. Only after that, give out your credit card details or any other type of payment. According to Giglio, most of the stuff that “paid” sites” offer are usually available for free at some other place on the internet. Both Giglio and Bazzell agree that if you want to know how to find people online then you will have to do a bit of work. And prepare for some long sessions of mouse clicking. The job isn’t easy and neither it should be. If you are able to show enough perseverance and if you have some good luck then you can unearth more useful information than you might have previously imagined. What’s the final piece of advice? Unsurprisingly, both say, that if you seriously want to find people online then take advantage of these professionals and call them. Of course, if someone you know does not want you or anyone else to find them, then you should respect their wish. Hackers Are Not The Biggest Ethereum Problem. It’s Greed.